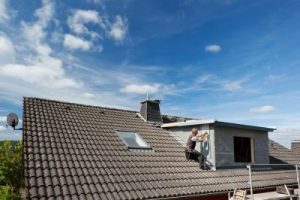 Are you looking for a company who can offer a comprehensive service and install high quality roof windows Bournemouth? You can stop your quest now that you’ve discovered ProRoofing. Give our friendly team of professionals a call today on 01202 518 763. Adding roof windows in Bournemouth properties is a fantastic way for homeowners to add natural light to their home. An increase in the intake of daylight has been scientifically proven to have numerous health benefits which is what makes this an increasingly popular option for homeowners all over the world. You will be amazed at how much airier and more pleasant a space becomes once a roof window has been fitted. The most popular choice of roof windows Bournemouth is a Velux one. We have been fitting Velux windows for a long time which means that we have accumulated a wealth of knowledge about this product. Velux manufactures roof windows in a wide variety of different sizes and finishes which means they have a suitable option available for basically any roof. Velux has been around as a company for a long time which means their reliability and the quality of their products has been proven. 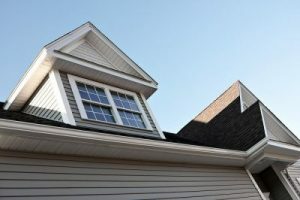 A dormer is a vertical window that has a roof of its own – this option gets positioned within the slope of the roof. Dormer roof windows Bournemouth have a classic look that will make your property stylish while remaining traditional. If your number one priority is achieving headroom in a location where it’s hard to achieve, then one of the dormer windows that ProRoofing offers will be an ideal option. Bournemouth roof windows – Velux or dormer? Here at ProRoofing, we employ a dedicated team of experts who are truly multi-skilled. This means that we will be able to design dormer roof windows to your exact specifications. They can be made out of a wide variety of materials that will please any aesthetic requirement you might have. Regardless of whether you prefer French style dormers or elaborate eyebrow designs, our team of craftsmen are guaranteed to bring even your wildest ideas to life successfully. Why choose ProRoofing to fit your Bournemouth roof windows? As part of our heritage as Bournemouth roofing experts, ProRoofing has made an ongoing commitment to maintain the highest possible environmental standards with all of our work. We are fully aware that our operations have a direct impact on the environment which is why it’s vital to us to always work in a responsible manner. At ProRoofing, we pride ourselves on the reputation we’ve built during our long years of operation. We believe that our approach to customer service combined with the enthusiasm of our expert team members has been the source of our success. We are also happy to say that a large number of our new work comes from previous customers recommending us to their friends, co-workers and family members. There are many ways to contact us here at ProRoofing if you’ve decided to take the first step towards having the finest roof windows Bournemouth has ever seen installed at your property. 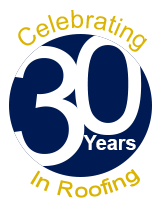 You can call us any time on 01202 518 763 and we would be happy to answer any enquiries. If you would prefer to send your request in writing, you can either fill out the simple contact form on our website to arrange for a callback or e-mail us over at office@pro-roofing.co.uk.